What would an Uncharted game look like without leading man Nathan Drake? That’s the question many fans of Sony’s action-adventure series have been asking. Since 2007’s Drake’s Fortune, the plucky and charming Nate has helped cement Naughty Dog’s Indiana Jones-inspired franchise as one of PlayStation’s greatest hits. And with last year’s Uncharted 4: A Thief’s End giving Nate a phenomenal, emotional sendoff, it seemed like it had all come to an end. 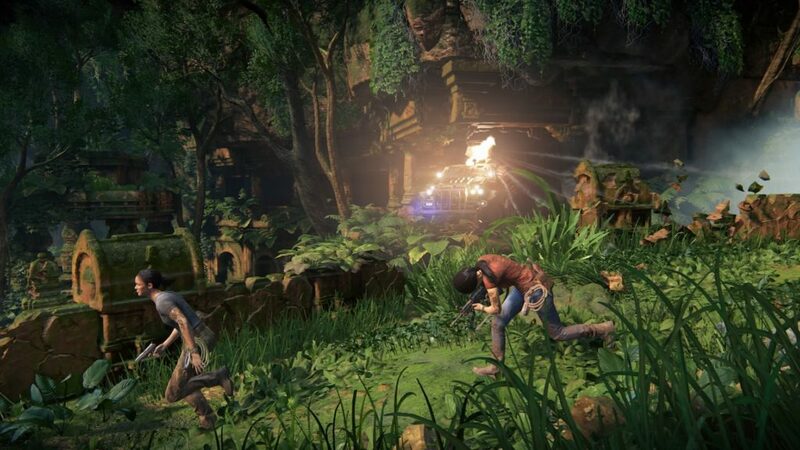 But now, in what is seemingly an odd choice, the Santa Monica-based studio wants to move away from Nate entirely and focus instead on two supporting characters from previous games in the series, Chloe and Nadine, in Uncharted: The Lost Legacy. Interestingly, the latest entry in the Uncharted series started off as downloadable content for A Thief’s End, but later grew into something far more ambitious and standalone in its own right. You can rest assured, though. Even without Nathan Drake or his friends, this latest adventure is every bit the quality Uncharted game you’ve come to know and love; in some ways, it’s even better. 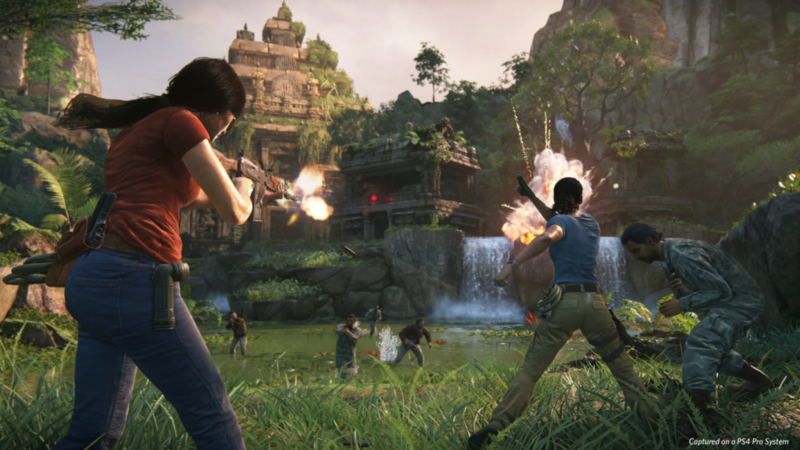 Set several months after Uncharted 4, The Lost Legacy puts you in the shoes of fan-favourite Chloe Frazer, the vivacious treasure hunter who made her grand debut in 2009’s Uncharted 2: Among Thieves and later appeared in 2011’s Uncharted 3: Drake’s Deception. Now, Chloe must travel to India and uncover the secrets of the fallen Hoysala Empire in order to find the mystical artifact known as the Tusk of Ganesh. This is very much a personal quest for Chloe, thanks to connections her Indian heritage. However, to do this, she’ll have to go up against Asav, an insurgent rebel leader, who also wants his hands on the ancient Indian treasure. Looking to fight fire with fire, Chloe hires someone with a similar background in warfare, Uncharted 4 villainess Nadine Ross. Following the events of A Thief’s End, Nadine has lost her private military company Shoreline and is looking for the funds — and redemption — to reclaim and restore her organization to its former glory. Both women have something the other needs, and through this, a fragile alliance is formed. For Chloe, Nadine is a highly trained fighter and source of intel on Asav, who the mercenary-for-hire has a history with. Nadine, meanwhile, needs Chloe’s knowledge of India and cut of the rewards to help get a new lease on her life. Their initial partnership is one made out of necessity, rather than any actual connection. 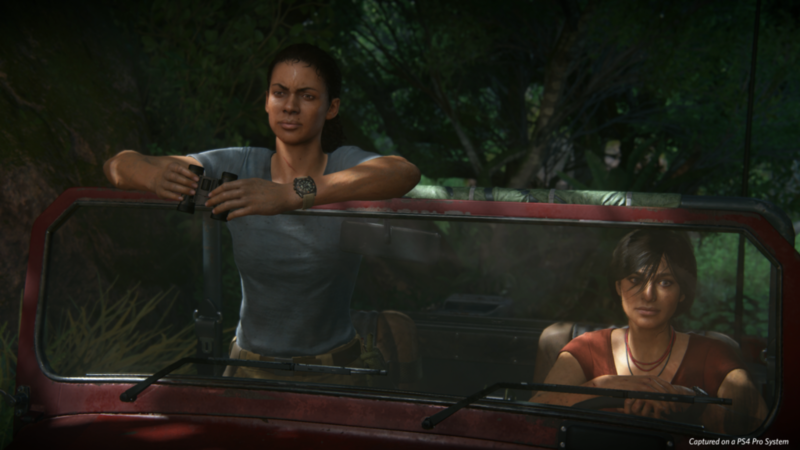 While Nate typically had a friend or loved one adventuring alongside him, like mentor Victor Sullivan or wife Elena Fisher, The Lost Legacy centres around the much more unlikely pairing of Chloe and Nadine. Indeed, the two don’t like very much like one another at the start of the game, with Chloe’s improvisational, often brash behaviour clashing with Nadine’s more strategic, militaristic approach. While Nate was in it for fortune and glory, he was also more than willing to help others along the way. Chloe and Nadine aren’t as altruistic, and it’s fascinating to see their motivations explored throughout the course of the seven hour story. Unlike Nate, Chloe and Nadine’s first instincts are self-preservation — sometimes even to the detriment of one another. If Chloe has said or done something that frustrates Nadine, she may find herself on her own during a dangerous combat scenario. Likewise, Nadine’s stubbornness may have her waiting in the 4×4 jeep while Chloe runs ahead to investigate a point of interest. This all helps make their relationship feel much more unique and unpredictable in way that hasn’t been seen in a Naughty Dog game thus far, even with Joel and Ellie in the company’s magnum opus, The Last of Us. At the same time, like The Last of Us’ two stars, Chloe and Nadine will have to learn to settle their differences and work together, and the two share some genuinely endearing and even emotional scenes together as a result. These moments serve to truly humanize Nadine in particular, who, while believably fierce and commanding in her own right, was rather underdeveloped in A Thief’s End. That was all Nate and his brother Sam’s story, and Nadine very much took a backseat to that. When removed from the Drake narrative and played off of Chloe, however, Nadine becomes eminently likeable. The two women share some wonderfully down-to-earth discussions of upbringing (Chloe is part Indian but grew up in Australia, while Nadine is South African), travels, hopes for the future, and even their opinions on the Drake brothers. This is all successful thanks to an excellent script by Josh Scherr (who also co-wrote Uncharted 4 with Neil Druckmann) and Shaun Escayg (who also co-directed The Lost Legacy with Kurt Margenau). And continuing Naughty Dog’s penchant for bringing in stellar actors, Claudia Black and Laura Bailey return to breathe life into Chloe and Nadine, respectively. How compelling The Lost Legacy’s leads become is truly a testament to Black and Bailey’s top-notch voice and motion-capture performances, as well as their careful collaboration with Naughty Dog into shaping these characters. With all of this talent involved, Chloe and Nadine make for more than worthy replacements for Nathan Drake. Their bond extends into gameplay as well, which features the same third-person action mechanics seen in Uncharted 4. Together, Chloe and Nadine will engage in heated firefights, insane climbing and rope swinging segments and exploration with the 4×4 jeep. Nadine is an active presence in combat, often helping out with taking down enemies in brutally effective ways. Grabbed from behind into a chokehold? Nadine may kick your captor and shove him away from you. Brawling with multiple foes at once? Chloe and Nadine will launch a flurry of karate punches, kicks and other tag-team attacks in ways that are decidedly more graceful and badass than Nathan Drake’s rough-and-tumble fighting style. 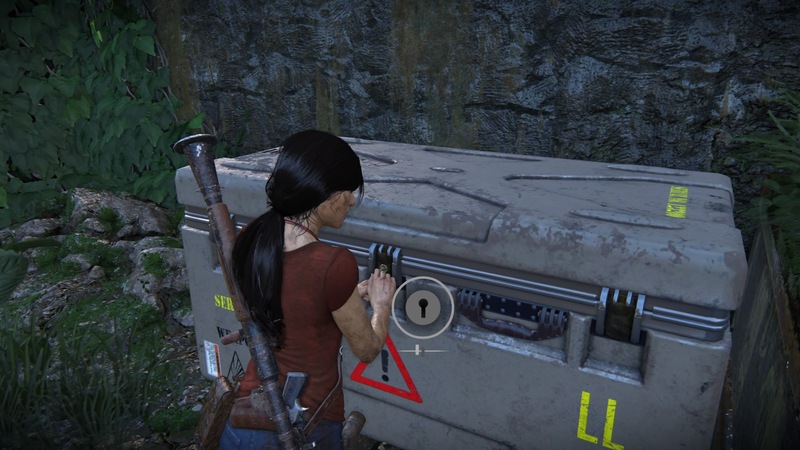 The newest addition to gameplay, though, is Chloe’s ability to pick locks. While this is triggered through a rather simple analog stick-rotating minigame, the way it’s used throughout the campaign is particularly interesting. Asav’s forces have left locked containers throughout the various chapters of the game, which all hold powerful guns, additional grenades and even treasures. They’re yours for the taking, if you can manage to get to them. Reason being, they’re often placed in combat scenarios, which adds another layer to your strategy. For example, if you’re stealthy enough to get by without being noticed, find a locked container and successfully open it without being spotted, you may be treated to a silenced pistol that will make picking off enemies much easier. On the flip side, if you’re spotted by enemy forces along the way, you’ll have to decide if a nearby chest — which may have additional firepower to help you even the odds — is worth potentially getting shot over. This makes for a surprisingly satisfying risk-reward element that caters to different playstyles. Naughty Dog has said in interviews that because The Lost Legacy had a shorter development cycle than previous Uncharted games, the team couldn’t devote as much time to researching for the narrative. 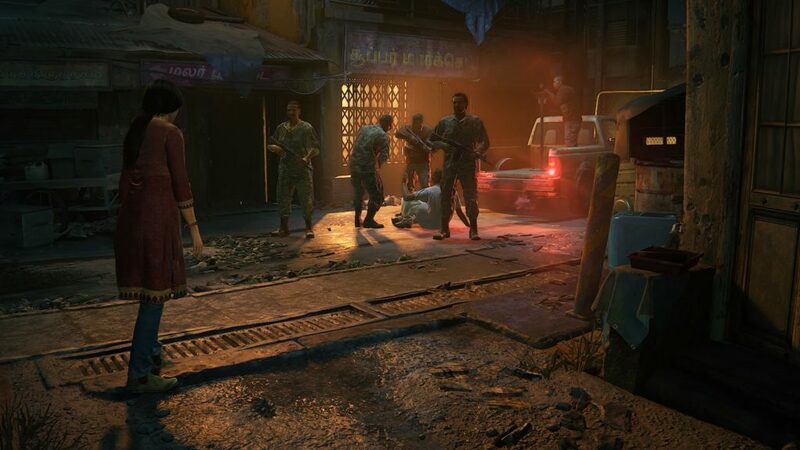 As a result, The Lost Legacy doesn’t focus on a prominent historical figure, like the Venetian traveller Marco Polo in Uncharted 2 or English pirate Henry Avery in Uncharted 4. 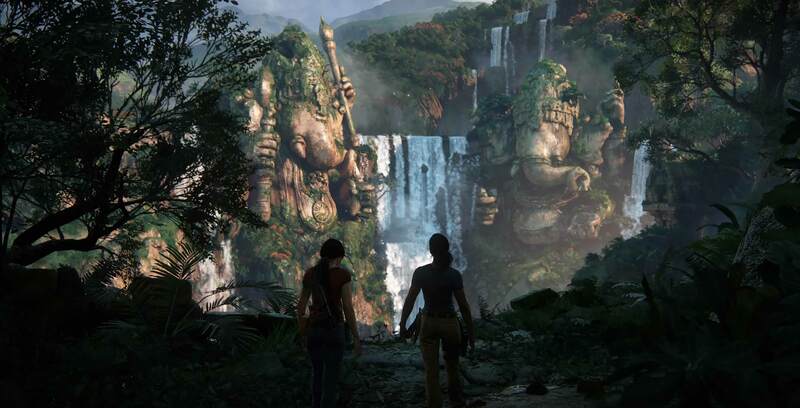 Instead, Naughty Dog wanted to focus on the religion, culture and mythology surrounding India, which really lends the game a distinctive setting and feel. A significant part of your time is spent in the massive sprawling jungled Western Ghats, which feature the largest area in an Uncharted game to date. As well, you’ll get to see other parts of the country, including the urban, war-torn regions, ancient temples, fallen kingdoms and more. 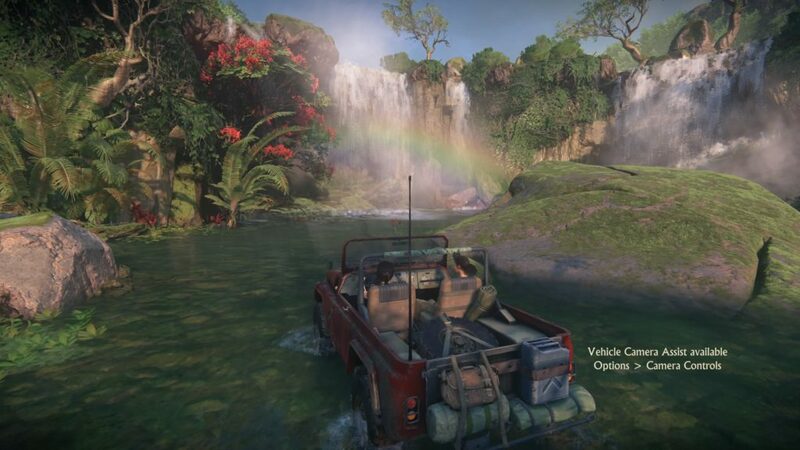 India isn’t a setting often seen in gaming, if ever, and Naughty Dog’s always meticulous attention to detail makes the locales appear beautiful and vibrant. What’s more, over the course of your journey, you’ll come across references to such deities as Krishna, Shiva and Parashurama, among other bits of Indian culture. This also allows Naughty Dog to play with the fantastical a bit more. Uncharted 4 had a more grounded tale that fit that particular story, but The Lost Legacy returns to the more pulpy elements of the first three games in the series. Between the elaborate Ganesh structures to climb, intricate ancient puzzles to solve and enlightening bits of mythological trivia that Chloe imparts on Nadine, The Lost Legacy’s India truly comes to life as a vivid and storied setting. Some people may scoff at the $50 CAD price tag, but I firmly believe the campaign is more than worth the cost. Even better, to Sony and Naughty Dog’s credit, The Lost Legacy will be available at no additional charge to those who purchased Uncharted 4’s Digital Deluxe edition, Triple Pack or Explorer’s Pack before December 2016 — despite becoming much larger in size and breadth of content than initially planned. For those who didn’t buy these packs, Sony is also giving a free download for the PS4 version of Jak and Daxter: The Precursor Legacy — the first game in Naughty Dog’s cartoony platformer PS2 series — to anyone who pre-orders the game at retail or on the PlayStation Store. And finally, The Lost Legacy includes the full great Uncharted 4 multiplayer suite, with the online communities and profiles shared between both games. As it stands, the future of the Uncharted series is uncertain. Naughty Dog has said it’s unlikely that it will make another Uncharted game, citing a focus on The Last of Us: Part II and desire to take on new creative endeavours. Presumably, Sony will want to continue Uncharted in some form or another, as the series has sold far too well to be retired. But for now, if this truly is Naughty Dog’s final Uncharted game, then the studio is going out on a high note. Thanks to a fantastic unlikely lead pair of heroines, beautiful, unique Indian vistas and culture, and more of the sensational swashbuckling adventure you’ve come to expect, Uncharted: The Lost Legacy is both a worthy follow-up to Uncharted 4 and an amazing conclusion of a 10-year-run on the franchise. Uncharted: The Lost Legacy will cost $49.99 CAD and launches on Tuesday, August 22nd as a standalone digital and physical release.